The assignment suggestions are not listed by age or difficultly level but, of course, the instructor or the person completing the assignments can decide to what degree any assignment should be done. 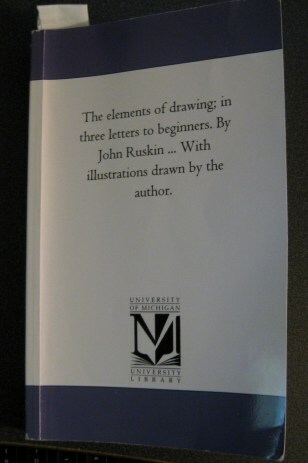 The Elements of Drawing: in three letters to beginners. If you decide to use "The Elements of Drawing: in three letters to beginners. ", you may (if the pdf is still available) download a pdf version from books.google or do as I did and purchase a hard copy. I do not know what the difference is between the two copies.